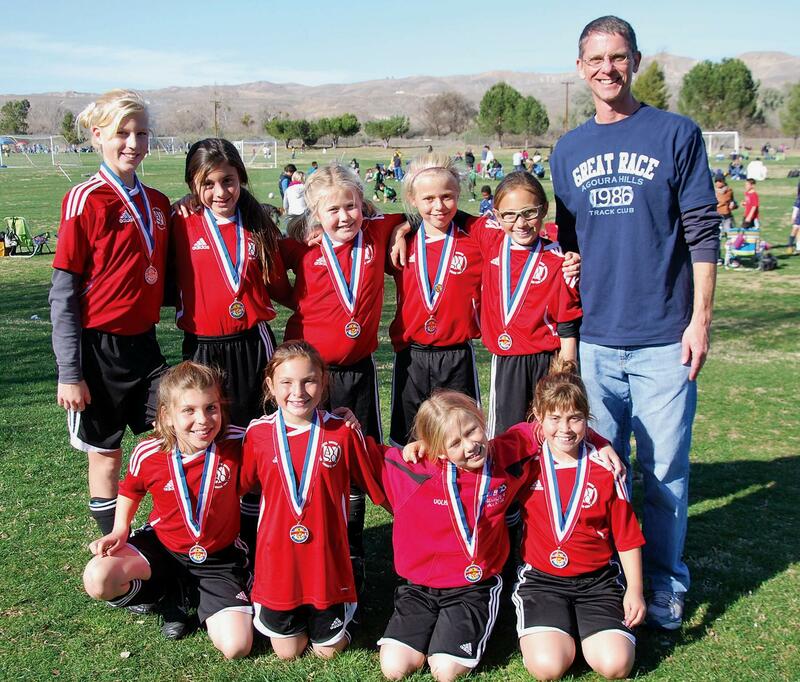 TASTE THE VICTORY—The AYSO Regional 4 U10 All- Stars, Honey Badgers, took first place in the Directors Cup Tournament in Bakersfield. Back row, from left: Caitlyn Danovich, Penny Smith, Aubrey Billig, Marley Volk, Malia Cohen and Coach Ted Volk. Front row: Carly Fernandez, Julia Dinerman, Noa Volk and Phoebe Reed.